Magnesium is one of the most critical minerals in the body, and up to half of Americans are deficient without knowing it. In fact, The Journal of Intensive Care Medicine published a study finding those deficient in magnesium were twice as likely to die an earlier death compared to those who had sufficient magnesium levels. The root of magnesium deficiency is the poor diet of processed and refined foods most Americans consume. 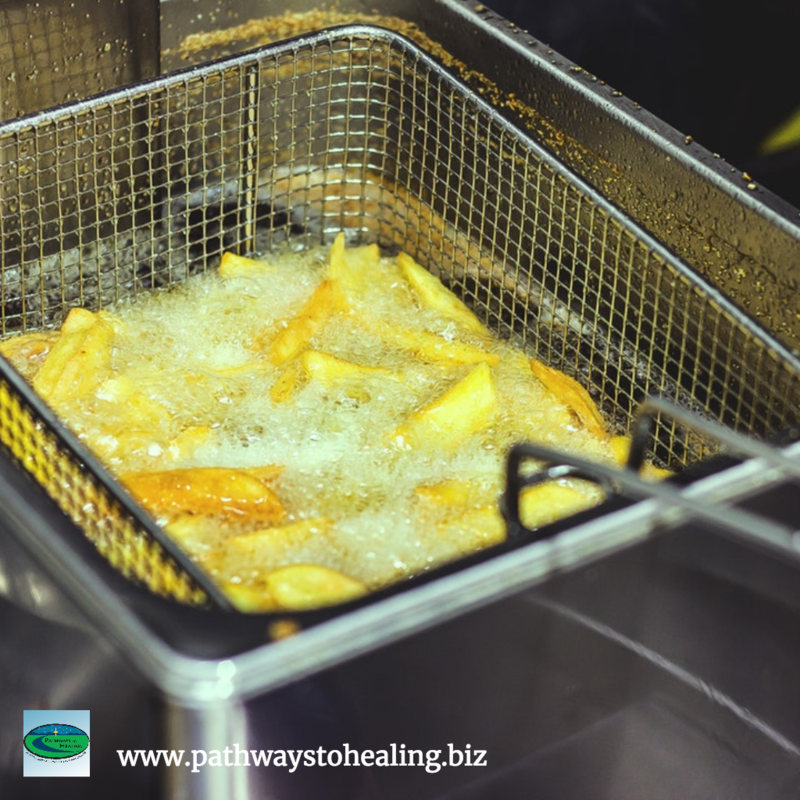 These foods have been stripped of nutrients and contain high amounts of salt. Unfortunately, it is possible to have magnesium deficiency even with a healthy diet. 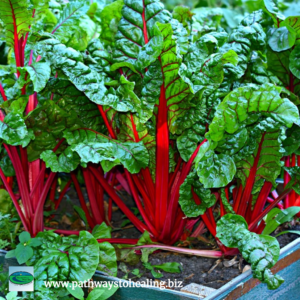 Soil depletion plays a large role in this issue, as minerals are removed, stripped away or no longer available in the soil, the percentage of magnesium present in food has decreased. Additionally, coffee, sodas and excess alcohol further deplete the body’s stores of magnesium (and other minerals). Lifestyle factors, including high levels of stress, chronic diarrhea, the use of high blood pressure medications, antibiotics, diuretics and other drugs, can also contribute to low magnesium levels. Not to mention as we age our mineral absorption capability tends to decrease so the probability of having a magnesium deficiency increases. Magnesium is not a drug, but can actually be more powerful than drugs when it comes to resolving many conditions. Not only does magnesium help regulate calcium, potassium and sodium, but it’s essential for cellular health and a critical component of over 300 biochemical functions in the body. It is especially beneficial for a healthy cardiovascular system, and is helpful for lowering high blood pressure and reducing risk of stroke. Magnesium also helps support learning and memory performance in aging adults. The minimum daily recommended amount of magnesium is 300 mg, although studies show most people do better with anywhere from 400mg up to 1000mg a day. 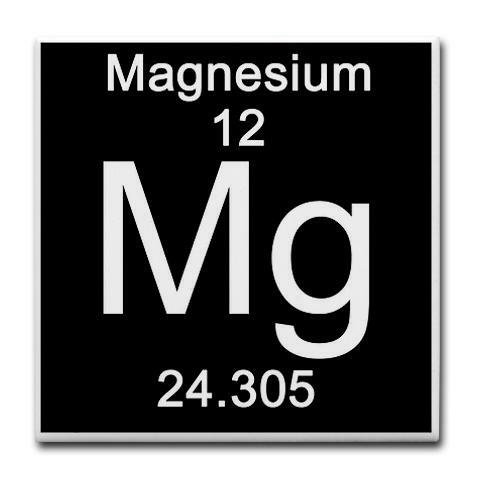 If you get too much magnesium, you will often experience diarrhea. The best way to get magnesium is through your diet, since many of the other nutrients necessary for absorption will be found in the same foods. Foods high in magnesium, listed in order from highest magnesium content, include spinach, swiss chard, dark chocolate, pumpkin seeds, almonds and almond milk, black beans, avocado, figs (dried), yogurt or kefir unflavored, garlic, shrimp and bananas. If you take magnesium supplements you should avoid those containing magnesium carbonate, sulfate, gluconate, and oxide. These are the most common forms found since they are the cheapest to produce, but they are poorly absorbed. The best-absorbed forms are magnesium lactate, citrate, glycinate or aspartate. You can also use magnesium oil topically in a spray or lotion. Magnesium chloride oil can pass through the skin and into the body. If you suffer from digestive issues like malabsorption, this may be the best form of magnesium to take. There are many forms of oil available online. Locally, Harvest Moon and Garden & Orchard makes a great body butter and spray for aches and pains. To use, spraying magnesium oil directly on the skin, rub it in and leave to absorb for about 30 minutes. Wintergreen essential oil can be added to the magnesium to further help relieve muscle pain. Magnesium spray may result in some tingling on the skin the first few times it is applied. Another way to increase your cellular magnesium is by soaking in Epsom salts or magnesium chloride. 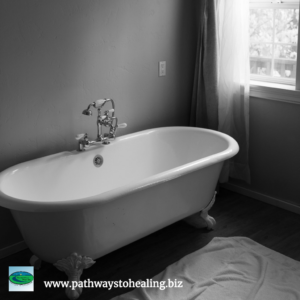 Adding 1-2 cups of Epsom salts in a bath and soaking for 20 minutes is a great alternative to taking a supplement. You can also soak feet in warm water with magnesium chloride or Epsom salts in order to provide relief to the specific area. Here is an easy recipe that will provide your daily requirement of magnesium. By focusing on this one mineral, you will experience many benefits to your health. 1. In a large skillet, heat 1 tablespoon of olive oil over medium-high heat. Add half of the chard and cook, 1 to 2 minutes. When the first half has wilted, add the remaining chard. When all of the chard is wilted, add the broth. Cover the skillet and cook the chard until tender, about 10 minutes. 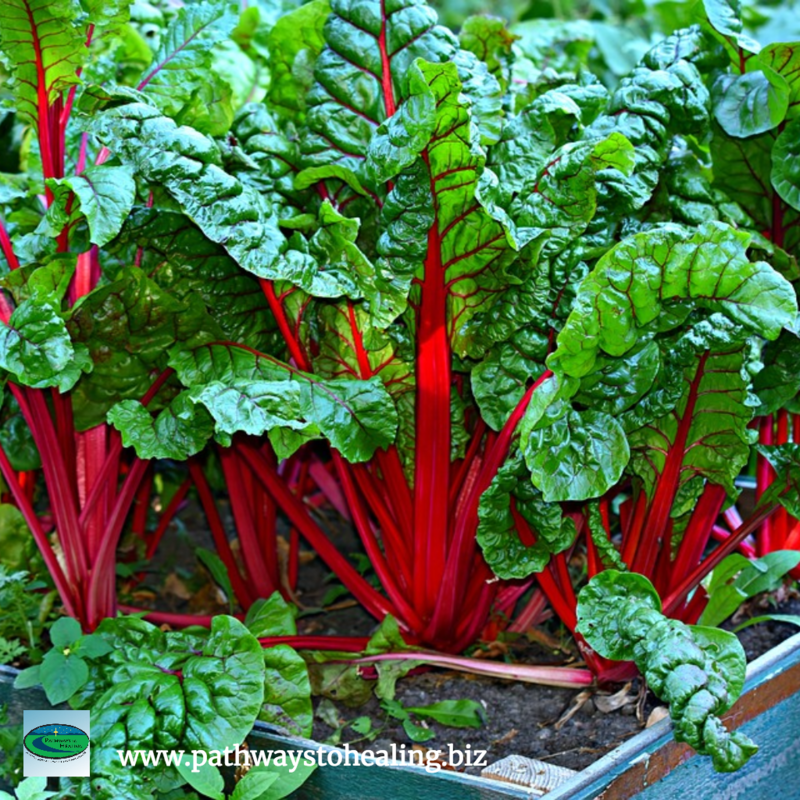 Drain the chard through a fine strainer and set aside. 2. Wipe out the skillet and heat the remaining 1 tablespoon olive oil over medium-high heat. Add the shallots and garlic and cook, stirring, until they are softened, about 2 minutes. Add the chard and garbanzo beans and cook until heated through, 3 to 4 minutes. Drizzle with lemon juice, and season with salt and pepper to taste. Sprinkle feta cheese on top just before serving, if desired. 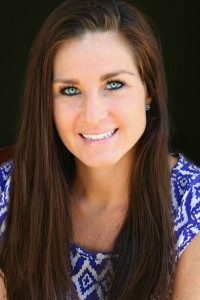 Dr. Alyssa Musgrove draws on a variety of techniques, including chiropractic, kinesiology, nutrition, food allergy testing and lifestyle counseling to assist clients in achieving optimal health and wellness in one setting. Pathways to Healing specializes in holistic chiropractic care, we are located at 1022 Founders Row, Greensboro, Ga. The office can be reached at 706-454-2040.